Summer is fast approaching and there are many things you can do from the comfort of your own home to boost your golf game this season. Power – In order to achieve more power it takes the right combination of weight lifting and flexibility training. Golf Squat – Stand with your feet slightly more than shoulder width apart griping a 10-pound dumbbell with a hand-over-hand grip. Drop into a squat position. Rise while turning to the left, bending your elbows and raising the weight over the left shoulder. Your hips should face to the left and just your right toe touching the ground. 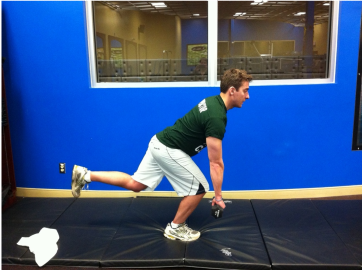 Return to the squat starting position and repeat to the right. 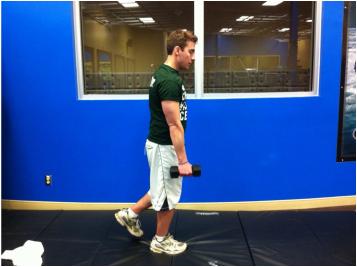 Single Leg Romanian Deadlift – Stand with your feet shoulder-width apart while holding a dumbbell with one or both hands. Move one foot behind the other keeping it slightly elevated off the ground. Slowly lower the weight toward the front foot and allow the back foot to float behind for balance. When the weight is roughly in the middle of your shin push through the heel on the ground to return to the starting upright position. Repeat on opposite leg. 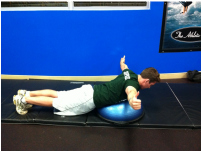 Make sure the back neutral and brace and breathe throughout the exercise. 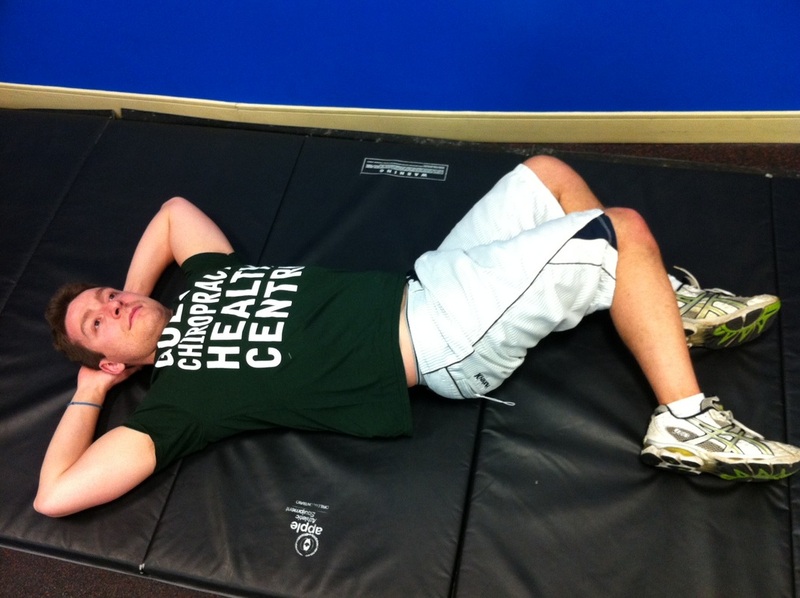 Front and Side Bridge – Lie down on your right side with the right elbow contacting the ground. 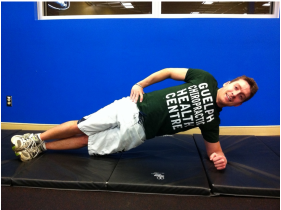 Elevate buttocks off the ground and hold yourself in a side-plank position for 10 seconds. Rotate so you are facing the ground and both elbows on the ground. Ensure the back is straight and hold for another 10 seconds. Finally rotate to your left side with only your left elbow and feet contacting the ground. Hold for 10 seconds. As this becomes easier gradually increase the holdings times from 10 seconds to 1 minute. Remember to brace and breath throughout entire exercises. 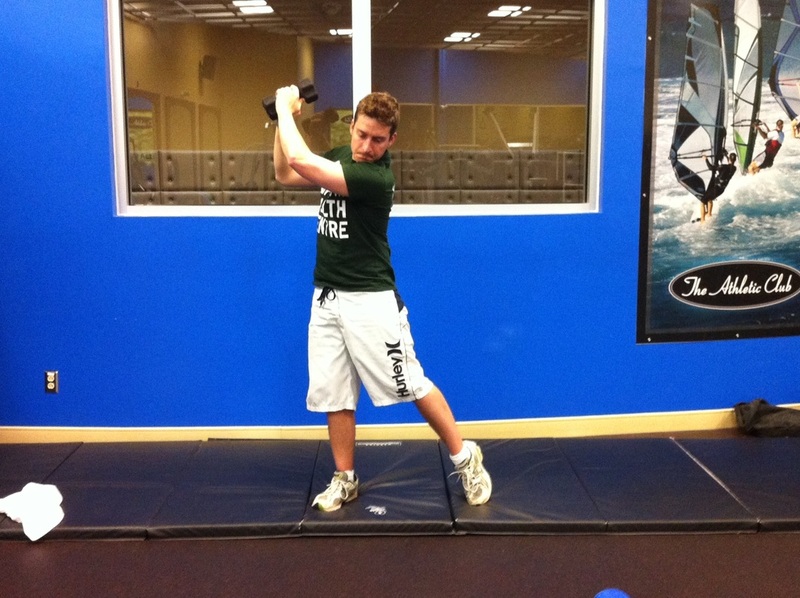 Mechanics – Perfecting your golf swing and technique can be accomplished by training your body to adapt to different situations. To be truly accurate and consistent proper mechanics must be utilized. 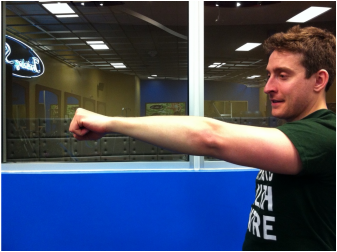 Speed Squeeze – Flex your shoulder (elbow straight) in front of your body so your arm is parallel to the ground. Rapidly open and close your hand as quickly as possible for 30 seconds. Rest for one minute and repeat three times before switching sides. 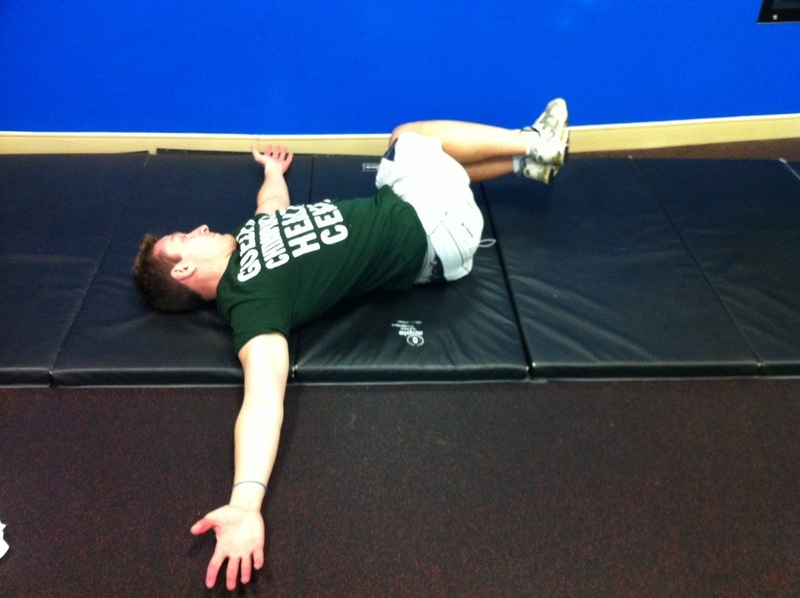 Dynamic Twist – Lie down on the ground crossing your bent right leg over the straight left. Place your left hand on your right knee. 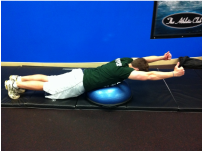 Rotate your body to the left while brining the right arm bent to 90 degrees perpendicular to the body. Inhale while externally rotating the right shoulder (back of hand toward ground). Exhale while internally rotating the right shoulder (palm toward the ground). Repeat 10-15 times and switch sides. 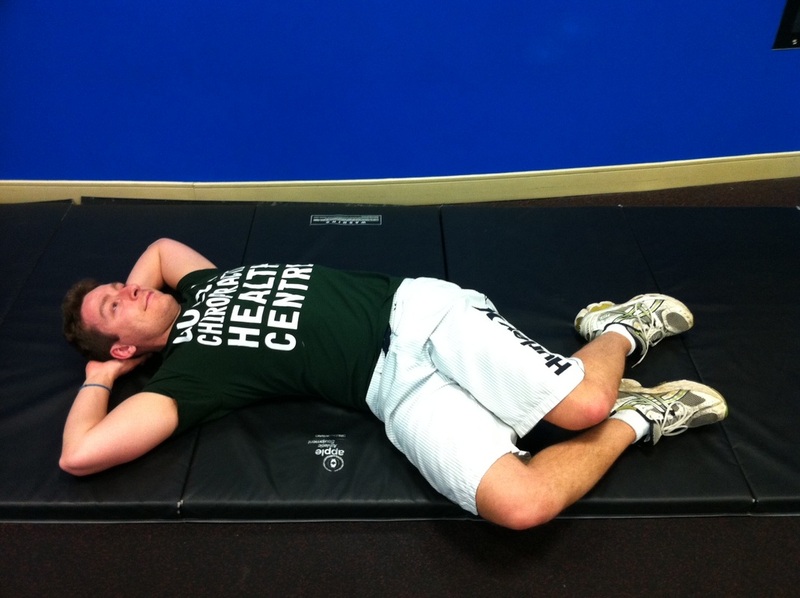 I’s, Y’s, T’s and V’s – Lie face down on a large exercise ball. Squeeze legs together to stabilize your base. Lift your chest off the ball, have thumbs point to the sky while extending the arms straight ahead in line with your body. Lift arms 5 times. 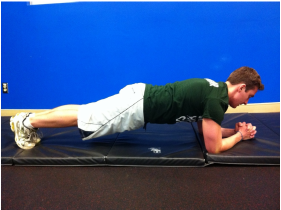 Bring arms slightly wider then shoulder-width apart and lift 5 times. 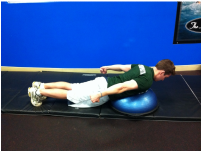 Bring arms perpendicular to shoulders and lift arms 5 times. 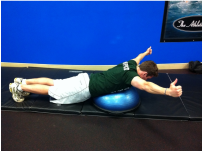 Bring arms backward and slightly out from the body and lift 5 times. Lift 10 times as this becomes easier and add small hand weights. Remember to brace and breath throughout entire exercise. Mid-back Twist – Start on all fours with the right hand behind the head. Inhale twisting from the midback allowing the elbow to point toward the sky. Exhale while twisting in the opposite direction tucking the right elbow under the left shoulder. Hold this position for a count of 5 breaths. Repeat 5 times and switch to the other side. For added difficulty repeat exercise with arms straight instead of elbow bent. 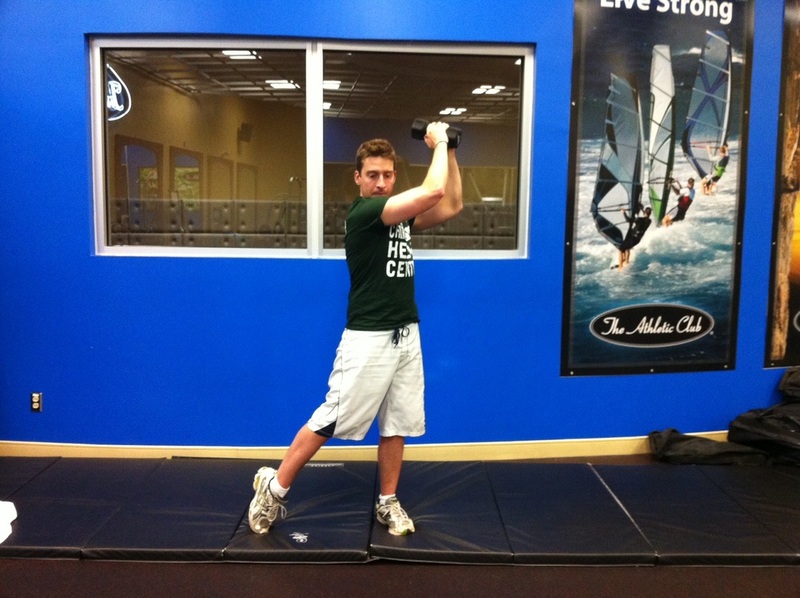 Flexibility – Muscles look good and are great for power but they can get in the way of your golf swing. Without the proper flexibility and range of motion your golf swing will suffer. Dynamic hip flexion and extension - Stand close to a stable object such as a table or chair for support if needed. Rapidly swing leg forward and back until end range. Do not swing past the point of pain. Keep a neutral spine, brace and breathe. Complete for 30 seconds. Dynamic hip abduction and adduction - Stand close to a stable object such as a table or chair for support if needed. Rapidly swing leg to the side and then toward midline until end range. Do not swing past the point of pain. Keep a neutral spine, brace and breathe. Complete for 30 seconds. Window Washers – Lie down on your back, knees bent with feet slightly wider then shoulder-width. Inhale as you lower both knees to the right. Exhale as your slowly return to the starting position. Repeat on the left. Complete washer move 10 times in each direction. 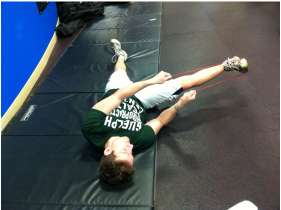 Hamstring Stretch + Hip Rotation – Lie on the ground placing a towel around your right foot. 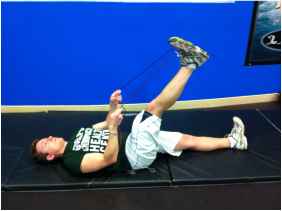 Pull your leg in the air until stretch is felt in the hamstring muscle. 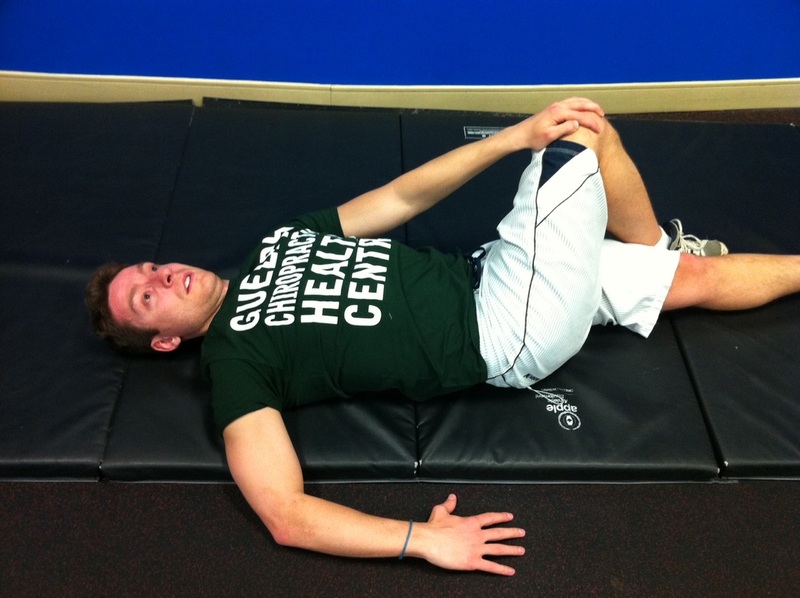 Keeping your hip flexed slowly lower your leg to the right and hold for five breaths. 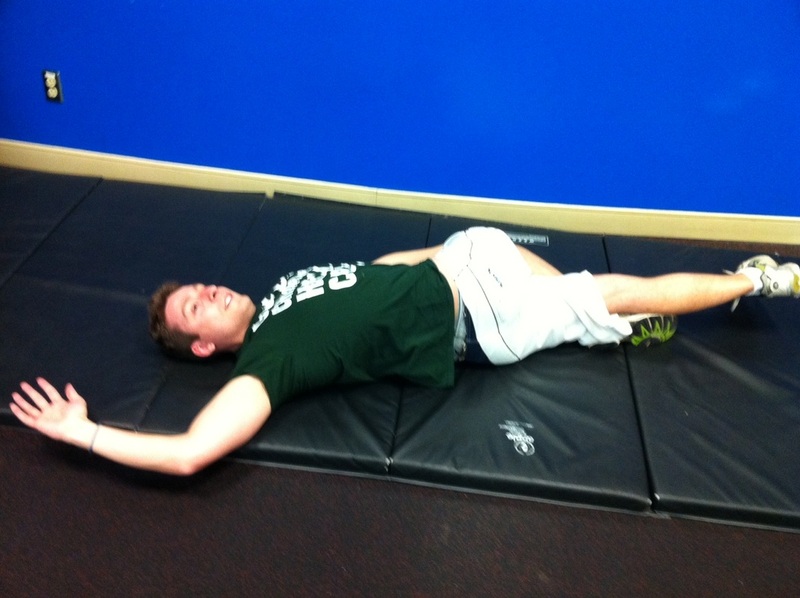 Bring leg to starting position and then drop it to the left also holding for five breaths. Repeat 5 times. 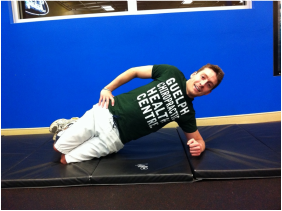 Throughout the stretch keep both glutes on the ground. Repeat with other leg. 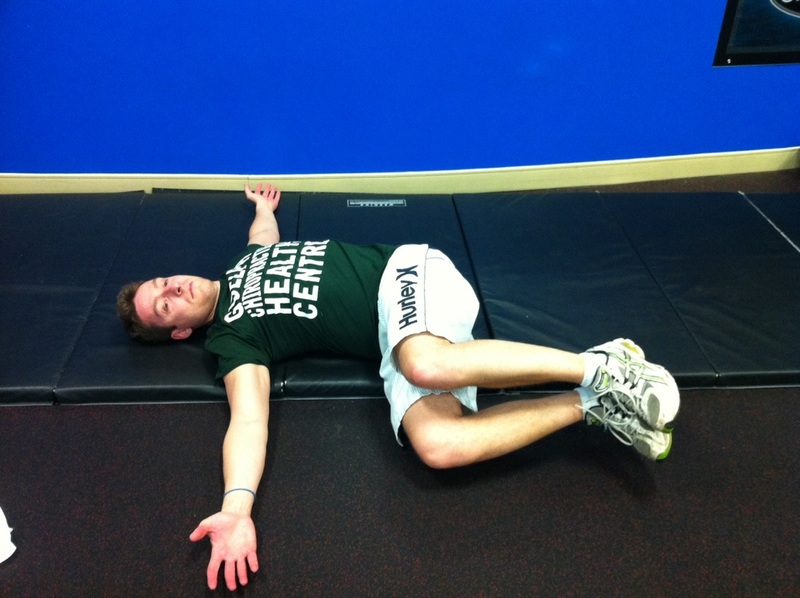 Spinal Rotation – Lie on the ground with our arms stretched perpendicular to your body. 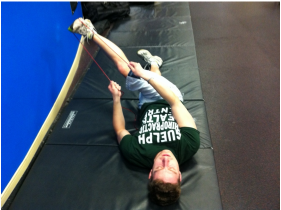 Lift both legs off the ground together keeping knees bent to 90 degrees. Inhale while brining your legs to the right. Keep your shoulders in contact with the ground. 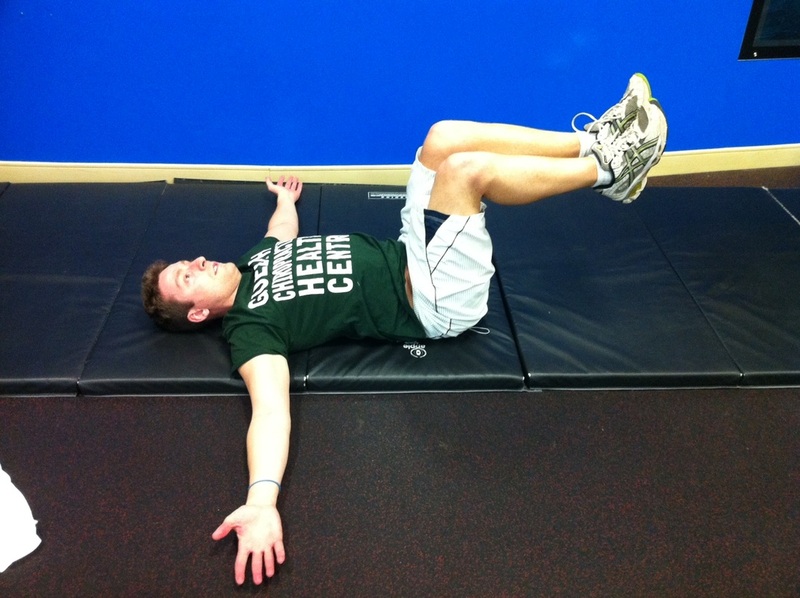 Exhale and use your core to bring your legs back to the starting position. Repeat on the left and compete 10 movements in each direction.